As Hollywood continues to travel on the remake train, with a rumored re-imagining of The Wild Bunch still bouncing around the ether, despite the demise of Tony Scott who was to helm the picture, the new Magnificent Seven fails on several levels. Not as a western, per se, but as a remake of an original classic that was itself a remake. Hollywood liked the western premise of “Seven Samurai” so much that they decided to make their own “westernized” version of Kurosawa’s love letter to the American West. John Sturges directed a script adapted by William Roberts; presumably based upon Akira’s original screenplay. The original film, “Seven Samurai” feels very western-ish with its Samurai heroes, who are in reality Ronin (Samurai without masters who are roaming the land and accomplishing little for money.) that still have the “code of honor” that they live by, or at least try to live by. “SS” is slow and meandering and quite epic. It is also very verbose, all Japanese films at that time, even “Yojimbo,” featured heroes and villains who talk a lot. There are prerequisite (and long) speeches about everything, even before an attack, and the participants will talk the issue to death before turning to sword play. The Sturges film got rid of all the heroes long winded pontification and kept it to a minimum. Yul Brynner, who plays the main gunfighter (Samurai) recruits the other six men who help the beleaguered villagers, and does so without resorting to long speeches. Later in the film, when the time comes for a “long” speech, Brynner and the other gunfighters explain why their life is not one that anyone should envy. Each of the “Seven” give their short spin on the lifestyle. Each of the gunfighters in the Sturges remake are like the Ronin (Samurai) from the Akira Kurosawa film. All have a code and each one has accomplished little in the recent months. The men not only have a sort of honor that they follow but they also find that their worth has diminished somewhat. As the Charles Bronson character; Bernardo O’Reilly says, “Right now $20 is a lot of money.” All the men, after Brenner’s character Chris states that no one has given him “everything” before, follow for little money and the chance to do the right thing for people who need their help. While Mexico was not overly pleased with how the Mexican villagers were depicted in the film; men with no weapons and little knowledge of the world outside their farms and families, the tale was intimate, simple and epic. Sturges understood that the epic nature of this film depended on the intimate nature of the village and the naivety of the people who needed help. This naivety even extends to the bandit leader who really steals from the unfortunate villagers in order to feed his men. It is a case of survival for both the heroes and the villains. Even Chris and his magnificent seven gunfighters are doing the job for the “food and board” more than anything else. The bare minimum of recompense and reward is what turned this film into an instant classic. That and the performances of all the players, Brynner, Steve McQueen, Bronson, Eli Wallach, Brad Dexter, Horst Buchholz, Robert Vaughn and James Coburn all turned in brilliant performances, each a shaded nuance of their Samurai counterparts, and this, along with the script and direction made this slow moving and simple western a massive hit. The remake, however, and Antoine Fuqua work on the premise that bigger is better. The screenwriters (Richard Wenk and Nic Pizzolatto) hark back to the original screenplays and the overall feeling is a mishmash of Spaghetti Western ambiance with a lot of Hollywood Western cliches. Chris is now Sam Chisolm Denzel Washington, a warrant officer for the court and he has a connection with the villain of this piece, played by Peter Sarsgaard. Somewhat irritatingly, in a bit of backstory, Sarsgaard’s character hired men who hung, somewhat unsuccessfully, Sam Chisolm. This act turns the whole thing into a Hang ‘Em High type scenario at the end which detracts from the whole message of both the original and the 1960 remake. This new version moves the action from south of the border and turns the farmers into town folk being terrorized by the greedy Bartholomew (Sarsgaard) who wants the gold and all the land to himself. This move alone creates a problem in that after the Civil War, many of the townspeople were not helpless sheep, as depicted in the 2016 film. As Louis L’Amour pointed out in many of his books about the old west; towns were filled with old campaigners who had fought in several wars, including taking on the indigenous population that the white man forced off their tribal lands. No one, in the real west, would have allowed Bartholomew’s hired guns to run roughshod over their town. None of the original characters are transferred wholly from either film to the new “Seven.” There is the Robert Vaughn character Lee, being played by Ethan Hawke, but he is a sniper, not a gunfighter at all. James Coburn’s character, a variation on the master swordsman in Kurosawa’s classic, has been taken over by Korean actor Byung-hun Lee and there is no Horst Buchholz character at all. There are things that stand out with Fuqua’s vision of Magnificent Seven. He has included some Native American characters and his Mexican member of the team is no neophyte but is instead a hardened killer. He also allows the token female – Haley Bennett, who plays recently widowed Emma Cullen, to be one tough piece of work. What is missing are the clean lines put forth by Sturges’ film. The intimacy has gone and been replaced with huge shoot outs that includes all the well-armed townspeople. By including dynamite, a gatling gun (Oh so reminiscent of Sam Peckinpah’s The Wild Bunch) and a 150 strong army of hired gunfighters, the epic intimacy has been thrown out the window. In this version of the film, the villagers are not so much learning what they must do to survive against an outside evil, not that much different from them, but are fighting against corporate greed and an inflated ego. Sarsgaard’s character in this film is an old west version of Donald Trump, in essence, and this move exacerbates the change of victim. Ultimately, the film lacks the oomph of Sturges’ version and feels more like a homage to Sergio Leone than Akira Kurosawa. The Elmer Bernstein score, from the 1960 film is only used during the end credits and this also effects the film. The actors in the film all do well but lack the stoic and taciturn quality of the western heroes brought to screen in the original “Seven” and while they all bring much to their roles, the screenplay lets them down. The 2016 Magnificent Seven, despite a huge shootout which leaves the streets of the one-horse town littered with bodies from both sides, is, in the end, a little boring and more of an oddity than a brilliant re-imagining of two classics. By having a connection between the new and not improved version of the Mexican bandit and the new Yul Brynner character the film loses the nobility of the characters and the storyline of both Sturges’ film and Kurosawa’s. The Oscar buzz thus far has Patricia Arquette with her, and the rest of the cast’s, boring moments in time, in Boyhood a favorite to get some sort of gong come award time. The film was made over a 12 year time period and used the same actors over said filming period. The audience get watch an entire fictional family grow up together. This is a real slice of Americana where one “family” is put under the spotlight and viewers are treated to the warts and all vantage point of observer in this rather mundane look at a family’s son and his journey up to leaving the nest and striking out on his own. 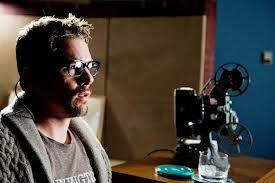 Directed and co-written by Scott Derrickson and starring Ethan Hawke, Sinister put a bit of a twist on the “found” film footage movie. I saw trailers for this film last year and could not wait to see it. Sadly I had to wait until it became available on iTunes, where I found that it was probably more effective in a movie theatre. Ethan Hawk plays author Ellison Oswalt a true crime writer that had a “mega” hit with his first book. This taste of fame via the number one slot on the New York best-seller list has left him scrambling for another dose and he decides to move into the house where a family were murdered and write about the crime. While moving his family and their things into the house, he finds a box with ‘home movies’ written on the side of it. Inside it has an old 8mm projector and some spools of film; all with different titles and years on the canisters. “Pool Party” and “Sleepy Time” are just two of the cute titles on the cases. Watching the horrible home movies. Curious, Ellison watches the films. The first one he sees is of the murder of the family whose house he now resides in. In a short time he becomes obsessed with these films and starts finding “clues” in each of them that points to a serial killer’s work. While watching these films, he starts drinking whiskey and hearing things. It does not help that his oldest son suffers from ‘night terrors’ and sleep walks as well. One of the scariest scenes in the film occurs near the beginning and involves a cardboard box. I can reveal nothing else about the scene, but, if I had seen this in a movie theatre, I probably would have wet myself. Clare Foley and Michael Hall D’Addario were excellent as Oswalt’s two children and D’Addario was convincing in his depiction of night terrors. Unfortunately, they were the only other family members (apart from Ethan’s Ellison) who were totally convincing. The mother (played by Juliet Rylance) never convinced me for one moment that she was a loving member of this family. There was a complete lack of chemistry between her and Hawke and their relationship felt staged. It did a lot to damage the picture and that is one aspect of the film that would not have been helped by the big screen. But by far the most pleasant surprise was James Ransone (The Next Three Days, Prom Night) as the awe-struck Deputy who “aids” Ellison in his “research.” Apart from Hawke himself, Ransone was one of the more interesting things about the film. His role as the helpful local who desperately wants to be in the acknowledgement section of Oswalt’s new book, is nothing short of excellent. As the film geared up and starting revealing different twists and turns of plot, there were several things that irritated the hell out of me. One of which was the determination that Hawke’s character refused to turn a light on when he investigated what he thought were intruders coming into his house. This man has moved into a new, unfamiliar house and yet he is confident enough to move through the pitch dark rooms (at one point armed with a tiny torch and a baseball bat) while he searches. For the love of Pete, turn on a light man! I am sure that the film makers added this touch to crank up the scare factor but, come on guys, they’ve just moved in, realistically, he would have had to turn on a light or two. This combined with the total lack of believability that plagued his relationship with his wife, just irked me and pulled me “out of the moment” too many times. On the other hand, it was nice to see Hollywood veteran actor Fred Dalton Thompson in a cameo a the local law member who is not pleased to see Oswalt move into the murder house. It was also nice to see Vincent D’Onofrio (who made himself a “house hold” name as Robert Goren in TV’s 2001 – 2011 series Law & Order: Criminal Intent) In a role that he literally could have phoned in, he plays an ‘uncredited’ Professor who specialises in “occult” crimes. The film does offer a unique sort of plot twist and some pretty effective scares, but, I got the feeling that it worked better in a really dark cinema, whereas, on a smaller 42 inch screen in an adequately lit room, the film paled. I suppose it also did not help that I’d just seen Mama and that film really impressed the hell out of me. So a combination of the film’s foibles left me a bit disappointed. A relationship that did not work for the film, combined with certain ‘unrealistic’ elements that annoyed, made it difficult to maintain that suspension of disbelieve that is such a requirement for films like this one. So my final verdict, is a 4 out of 5 stars; mainly because the parts of the film that did work, worked well and the film did disturb me enough that I had to sleep with a light on. More creepy and unsettling than scary, apart from that first scene with the cardboard box, the film is adequate but not a “classic” by any means. Great plot but an uneven execution. So nice to see an ominous Fred Dalton Thompson.